“HOPE” is one of four Gannon & Benjamin Yawls, adapted by Nat Benjamin from the famous Rozinante by L.F. Herreshoff. The Tern Class incorporates 18” greater beam, firmer bilges, greater displacement and sail area, resulting in a stiffer boat with greater initial stability plus a significantly larger cockpit and interior. “HOPE” has been used mainly for day sailing, but sister-ships have cruised the New England coast. 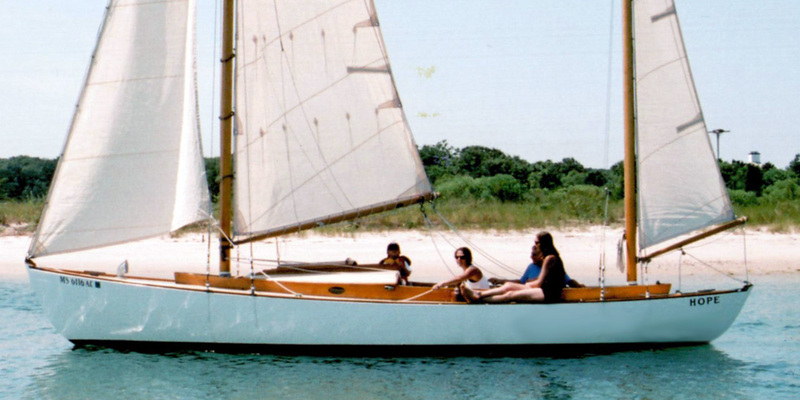 This fine example of the yachts built by the renown Gannon and Benjamin Yard has been SOLD.